Hi, I'm Gareth Duncan, I'm the Sales Coordinator for Formit portable toilets. Essentially, what we do is we’re Australia’s only portable toilet manufacturer, we are the largest, everything's made in Australia. 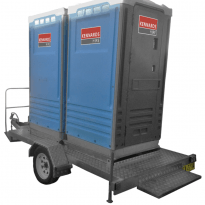 e’ve also got the largest waste tanks in Australia, which makes it perfect for events, so really all around it is the perfect toilet for Kennards. If you'd like any more information, please call in to your local Kennards branch or visit their website. 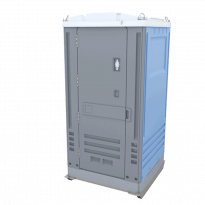 A modern hygienic, fresh water flush transportable toilet. 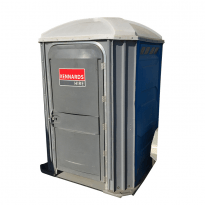 Special needs portable toilet compliant with Australian Standards for disabled use.